diagnosis and transmission stress test! If your vehicle requires transmission repair near El Cajon we invite you to Valley Transmission, where we do transmission repair, transmission service, and transmission rebuilds “right the first time”. Specializing in transmission repair In El Cajon since 1977 we have been proud to serve a large number of customers needing transmission service and transmission rebuilds. We even offer a FREE transmission stress test and diagnostic test at our El Cajon facility. If the stress test indicates a transmission repair issue, we can then run further tests with our sophisticated diagnostic equipment to determine if your transmission requires a simple adjustment, an overhaul, or a full replacement. When you need a transmission rebuild or transmission repair in El Cajon, call us at (619) 447-4353. 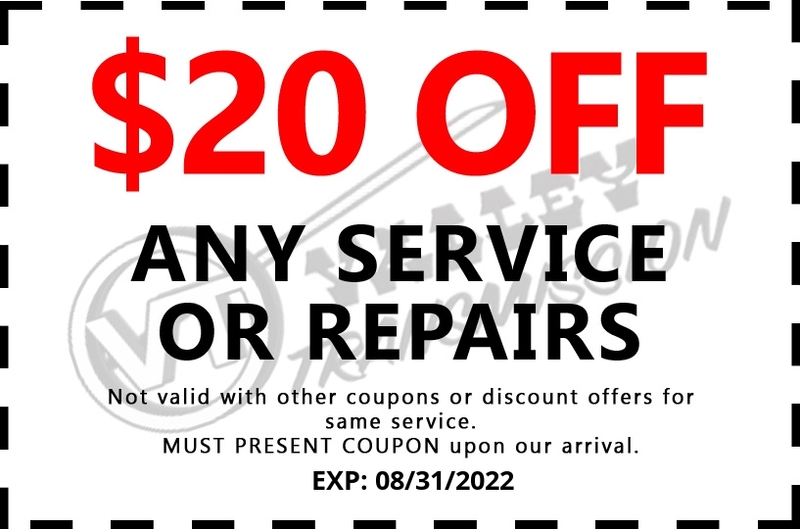 Make sure to mention our online coupon to save $20.00 off your next normal transmission service. 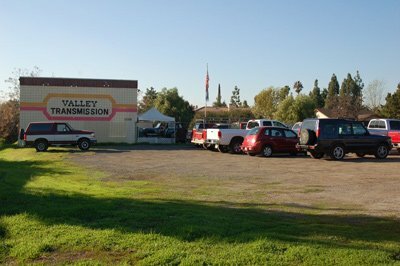 Valley Transmission is conveniently located at 1158 N. 2nd Street in El Cajon, CA 92021. If you have special questions regarding transmission repair, transmission service, or transmission rebuilds, ask for the owner of Valley Transmission, Greg Boehm. We look forward to serving you! “I first met Greg, owner of Valley Transmission when I had just purchased a used Ford Station Wagon and then was suddenly laid off from work. I had some major surprises with that old car and needless to say I needed a company that would be of help. Funds for expensive car repairs were suddenly hard to come by. I went to several places in town.. The usual Corporate Franchise highly advertised competitors and was told that I needed a completely new transmission, AND brakes, AND an engine overhaul, AND on and on. The job seemed overwhelming. But one day I was driving by Valley Transmission and decided to see what an independent shop would quote and if I would get the same story of an attempt to bury me and my bank account deeper and deeper into this seemingly money pit of a bad purchase. Greg greeted me personally, which impressed me that I was talking to the guy in charge and not a commissioned employee bent on ringing up as big a bill as possible. First he road tested the car assuring me that it was a FREE test. NONE of the other companies road tested the car! They just couldn’t wait to put it ‘on the rack’. To my surprise Greg said, no problem, I think you need to replace your fluid and perhaps you may need an adjustment but it doesn’t look that bad. I gave him the job and I’ve never been sorry. The car ran great and yes it needed some minor adjustments and new fluid. After the car was finished Greg took me for another follow up road test and even gave me some driving tips to help me keep my transmission in good shape and not abuse it. I had a bad habit of backing up and putting the car in Drive before I had stopped it which put an extra strain and wear and tear on the transmission. I stopped doing that. It’s remarkable how I am now aware of others doing that and I pass his tip on to them and tell my Valley Transmission story as well. I recommend Greg every chance I get. Greg deserves and earned my respect as an honest, customer oriented businessman and runs his shop with his personal hand in everything that comes in and goes out with his stamp of approval. “Took the ice cream truck there today. We've had our other truck there and the service is always good and the prices are fair. Today was no exception! I called yesterday to make an appointment and Paul suggested I come in at 7:00 am. Not exactly a time the Ice cream man is usually out and about. Anyway, took the truck in. Paul called about 10:30 to let me know the problem and the estimate. He was actually under the number I had in my head. (Woo-hoo! ) the truck was finished the same day and when I picked it up it was even less than the quote! Score #2! I am sure everything is as it should be, given my past experiences. “First off nobody is happy having to bring a car or truck to a mechanic to have it fixed. It's costly,time consuming, and just inconvenient. That being said, Valley Transmission in El Cajon has been the BEST car service place I've been to. Mostly cause of thier customer service by Paul. My clutch went out on me on my way to work at 6am. By the time the tow truck had dropped my Jeep off at Valley transmission I was not in the best mood. But Paul made me remember that there's way more to life then some car issues. I remembered how much worse it could of been. My kids and wife could of been in the car with me. I could have been stranded somewhere on the freeway. The speed in which they diagnosed,ordered the clutch kit,and installed it perfectly was nothing short of amazing, considering the amount of cars there. It took only 2 days for everthing. “Took my -07 Mercury Mariner Hybrid to another mechanic to have the PTU rebuilt and the transmission serviced. He had it for two months. Two. Months. When I got it back, it was making a couple new, strange noises. After a couple days, it began shifting hard. I started to hear the old 'siren in the distance' noise coming back from when the PTU had been bad. Not having the ability to be without my car for another two months and not having an iota of confidence that the first guy would actually be able to fix whatever was ailing it now, I got a referral to Valley Transmission and took the car in there. The difference between mechanics was like night and day. From the get-go, Paul was friendly, communicative, accomodating, and conscientious. And, you know, they do free whatever-you-call-its (sorry, not a cars girl)......like.... assessments of your car. To determine the problem. I've paid through the nose for this at the dealer before. Paul stresses that when they check your car out, they do it thoroughly. And thorough it was. They found that the previous guy had left me 3 1/2 quarts short of transmission fluid (?!?! ), hence the hard shifting. All the seals on the PTU were bad, so it was leaking like before. They replaced those, stopping the leaking. A couple bolts were loose, causing the transfer case fluid to look grey. I had been worried it was the beginning of bearing disintegration again, or a sign that the supposedly new (to me) bearings inside the PTU were not, in fact new or good after all. So, they pulled my whole PTU, took it apart, inspected it, took pictures of what they found, and shared them with me. It was an enormous relief to find that, beyond the seals, my PTU actually appeared good and that once the loose bolts were tightened, the fluid stopped appearing grey. They cleaned up the PTU for me (it was a salvage part and had been installed looking like a 'dirt ball,' as Paul put it), checked and rechecked, test drove, kept the car overnight to check everything again, and basically solved all my issues. The one noise they couldn't get rid of, they evaluated and ruled out it being transmission-related, and then admitted that it was something beyond their area of specialty. I love that they didn't try to sell me on their ability to fix every single thing without, in fact, knowing what they were doing (as the previous guy had, which was why he ended up having to keep it so long). All of this work and time spent and actual problem-solving (amazing!) was done expeditiously and for a really reasonable price. I didn't feel like I was getting shafted. Paul communicated with me throughout the process. I never felt like my car was on the back burner or being ignored, even though they're busy guys. I felt like Paul was really honest with me. “Here I am on my way for a big road trip in my RV. Day one the U joints start to fail and there a big racket coming from some where in the drive train. So I pull over and start making calls. It's my lucky day I contact Greg owner of Valley Transmission. He kindly gives me closet directions to limp to his shop and then he gets his mechanic to start diagnosis. Their goal is to get me out of there as fast as possible. “What a great place this is! I went in for some advice...... on how to fix a leak in my Street Rods transmission and I left with a free gasket and some special washers to seal the bolt holes. “These are some of the nicest guys around who hooked my boyfriend and I up with some sweet military discounts! 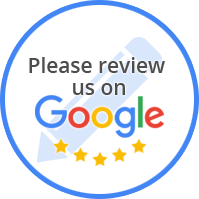 They are very knowledgeable about their work, have excellent customer service, and are very trustworthy; we wouldn't trust any old place to leave and handle a family gem like our '71 El Camino! We are one of the few transmission service shops in the area that can perform specialized types of transmission repair services.